We have gained expertise in manufacturing of premium quality Treatment Ladles, which are used for treatment of iron and various other applications in several industries. Our machines are incorporated with latest techniques and manufactured with high quality raw materials. Further, our machines are well known for high efficiency and user friendly properties. 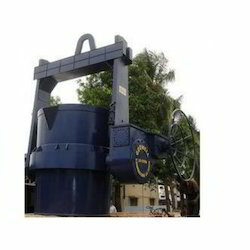 Also, our machines are highly durable and can be custom made as per clients specifications. Our clients can avail these machines at very moderate prices. 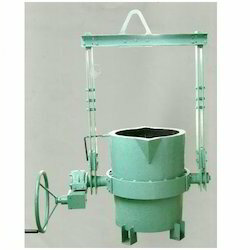 We offer a wide range of ladle handlers that provide complete dust protection. 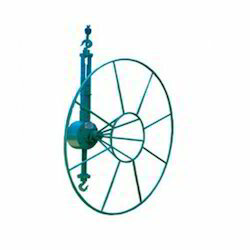 The worm of these handlers is made of superior quality steel and the worm wheel is fabricated using phosphor bronze. These worm and wheels are fixed on taper roller bearings. Made in conformation with the ISI standards, these handlers are of the tilting type, and have monorail type hooks. As per the customer’s demand, the tilting ratio can be changed. We offer tea pot spout ladles that are precisely engineered and close attention is paid to its safety features. Owing to the robust design, the shanks, frames and gear boxes of same capacity can be changed in these and a special gear tilting arrangement is also made. Adhering to the recommendations of the ISI standards, these products enjoy immense credibility in the market. We offer SG iron treatment ladle with lid that meets the specific requirements of various industries such as foundries and chemical plants. Based on contemporary technology, these machines comply with all the specifications of the ISI Standards. Arrangement for gear tilting is done for uninterrupted functioning of these ladles. We also offer modified ladles on demand. We offer bottom pouring ladles that are fabricated using superior quality steel. The operators can make premium quality castings and simultaneously eliminate dross that ensures better production. A stopper rod is fixed into a tapping hole that is in the bottom of the ladle. Whenever the metal has to be poured to the bottom of the ladle, the stopper is raised in the vertical manner. To stop the process, the rod is inserted again into the drain hole. We offer lip pouring ladle that is geared or uncleared ladles, are rigorously tested for various parameters hence, our products are in sync with the ISI Standards and can be availed in varied specifications. Gear boxes are of robust construction with precision machined parts total dust protection. 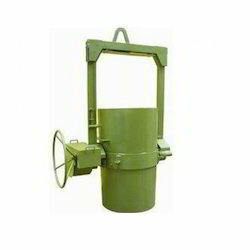 We are renowned manufacturer of precisely engineered Spout Treatment Ladle. 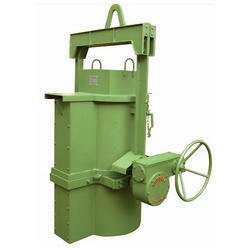 Our range of machines has wide range of applications in various industries. 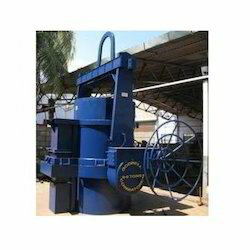 Moreover, these machines are manufactured as per well defined industrial norms. Our machines are compact and features robust construction. 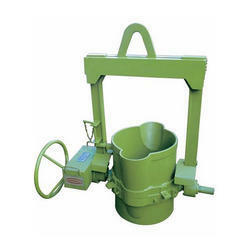 Additionally, these machines are dimensionally accurate and highly durable. We offer these machines at leading market prices. 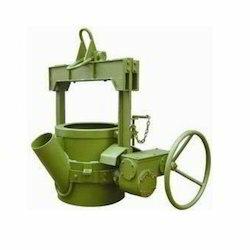 We are engaged into manufacturing of wide range Custom Type TPS Ladle that is used to transport and pour out molten metals. 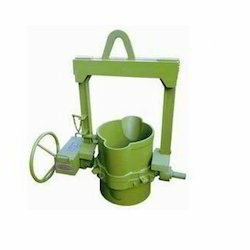 Our ladles can be customized in various technical specification and can be availed at very reasonable prices. Moreover, our machines give high performance and are highly preferred for their robust construction. Additionally, our machines are durable and has longer service life. We offer these machines at lucrative prices making these machines highly valuable among our esteemed clients. We are instrumental in offering our esteemed clients with a assortment of Drum Type Ladle, which has varied commercial usage. 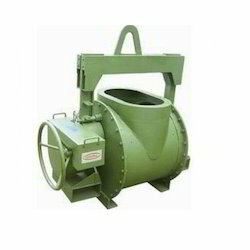 Our machines are drum shaped and features robust construction. Moreover, these machines are highly appreciated for their high durability and higher operational efficiency. Further, we ensure only flawless pieces are delivered to our clients though random quality checks. The prices of our machines are lowest in market. Application Foundries, Chemical plants etc. We are engaged in manufacturing and supplying of treatment ladles that cater to application requirements various industries such as foundries, chemical plants and others. Manufactured using best grade material, these ladles are appreciated for their sturdy construction, high performance and durability. Additionally, these machines can be availed by our esteemed clients in various technical specifications as per clients requirements. Our clients can avail from us high quality Tps Pipe Type Ladle that are manufactured in compliance to international standard of quality. Further, our products are highly durable and compact in size. Additionally, our machines feature sturdy construction and high performance. Also, our machines can be specially formulated to fit client requirements. We offer these machines at highly competitive prices.